It was Summer 2012. 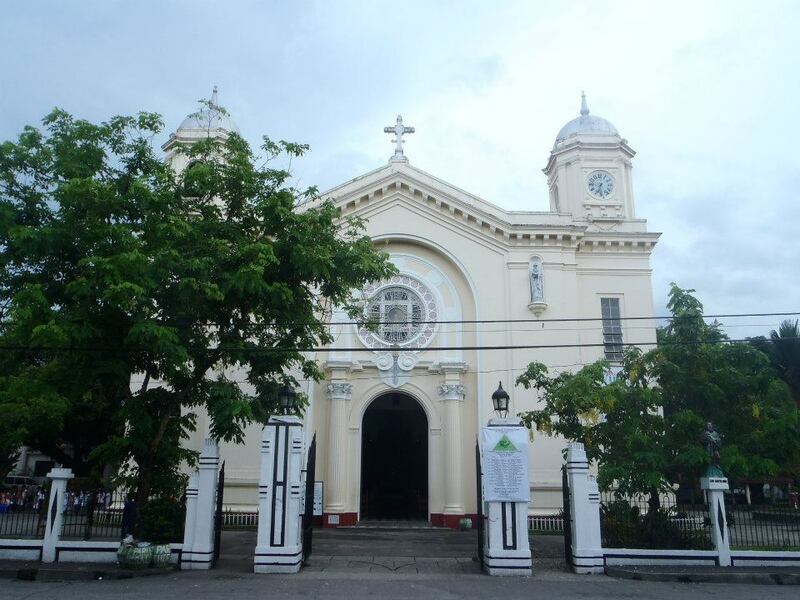 I was exploring Negros Oriental and Negros Occidental. 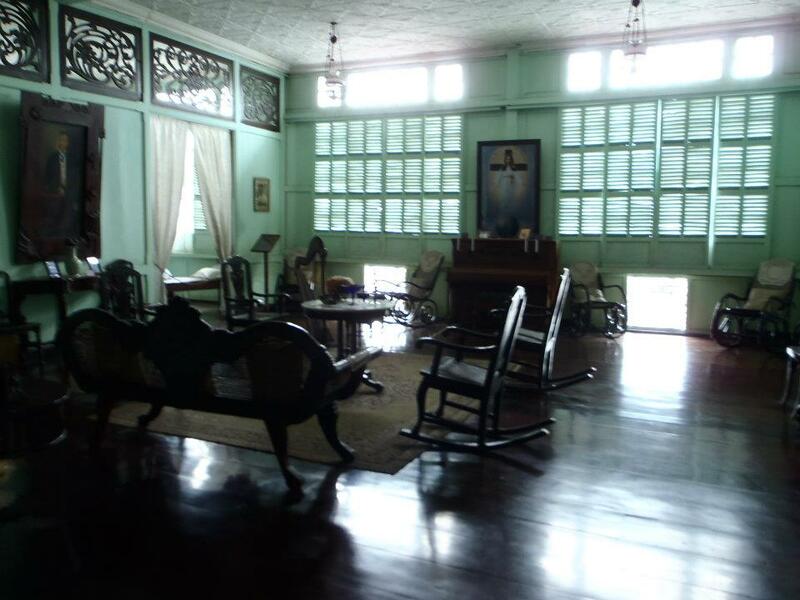 It was actually a two-week tour in Visayas starting from Boracay and ending in Silay City. 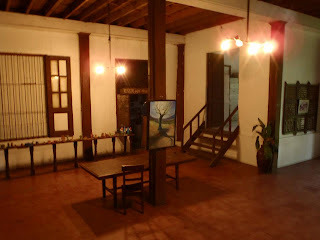 I spent two days in Canlaon City. It is one of the best places in the Philippines that I have been into. 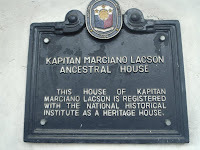 From Canlaon, I boarded a bus to Bacolod City. 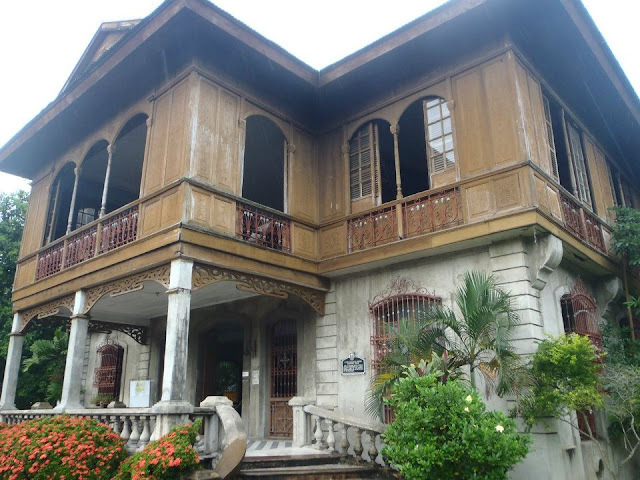 Spent 4 hours in the city and then went to the Ruins in Talisay City and finally to my last destination.. the Heritage Houses in Silay City.Silay City is known for its heritage houses. It's like the Vigan in Visayas. 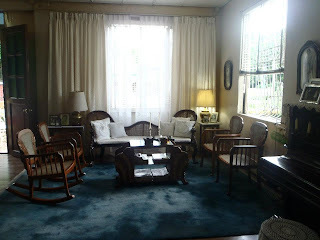 It was already past 5 pm when I arrived in Silay City and the first thing I did was to look for a place to stay in. Out of three choices, I chose the Winbelle's Pension Houz because it is the newest and the most affordable. The following morning, I woke up around 6 am, fixed myself and started my tour. 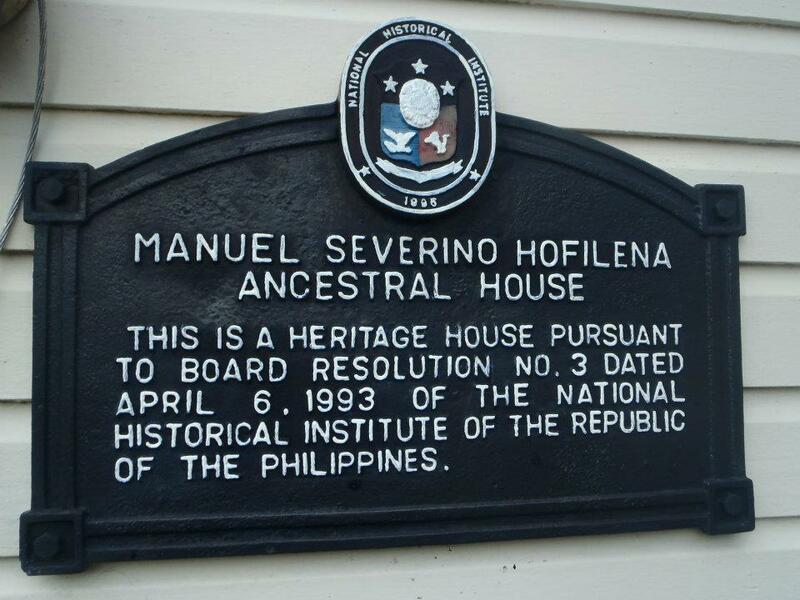 First stop for the day was the Hofilena Heritage House. 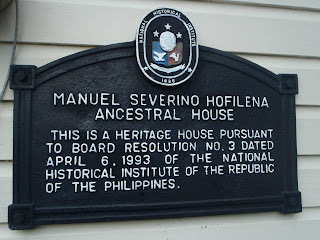 From the pension house where I was staying, one can simply walk to the Hofilena Heritage House and I did walk as part of my morning exercise. Visits to the Hofileña house is by appointment, tel. no. 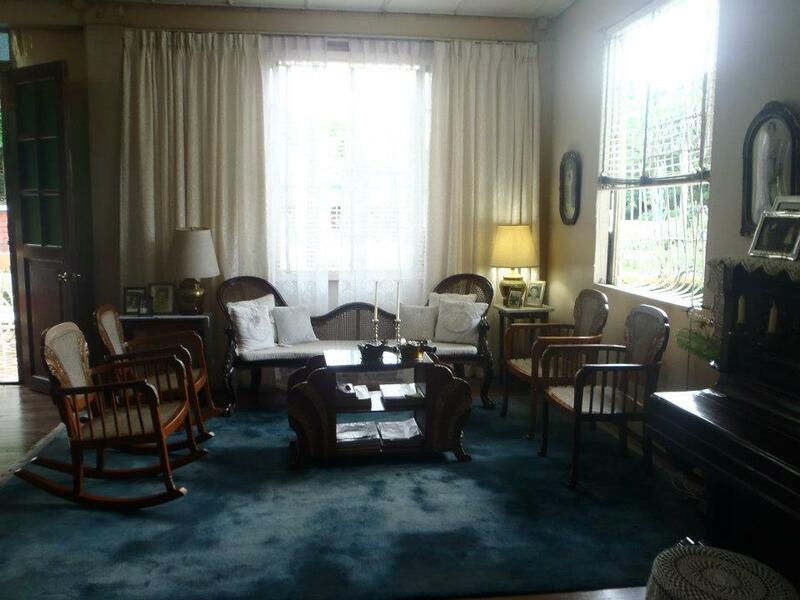 (034) 495 4561. But as the saying goes - "The early bird catches the worm." 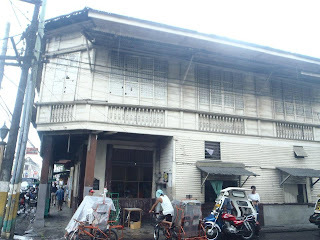 I was able to talk to the owner of the house while he was throwing garbage early in the morning and he allowed me to tour the house. 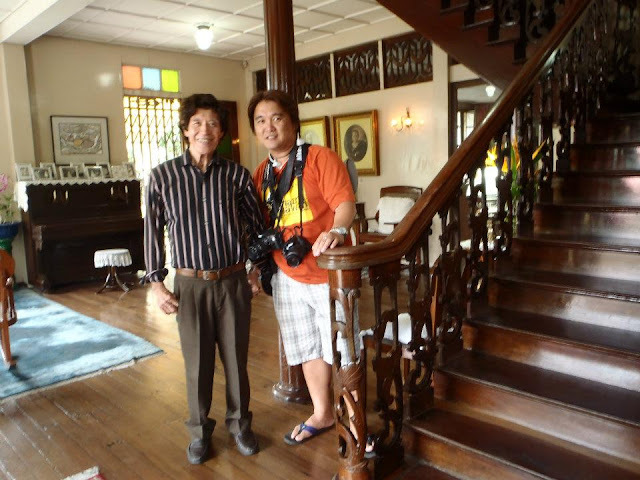 And I was able to meet the owner of the heritage house Mr. Ramon Hofilena. 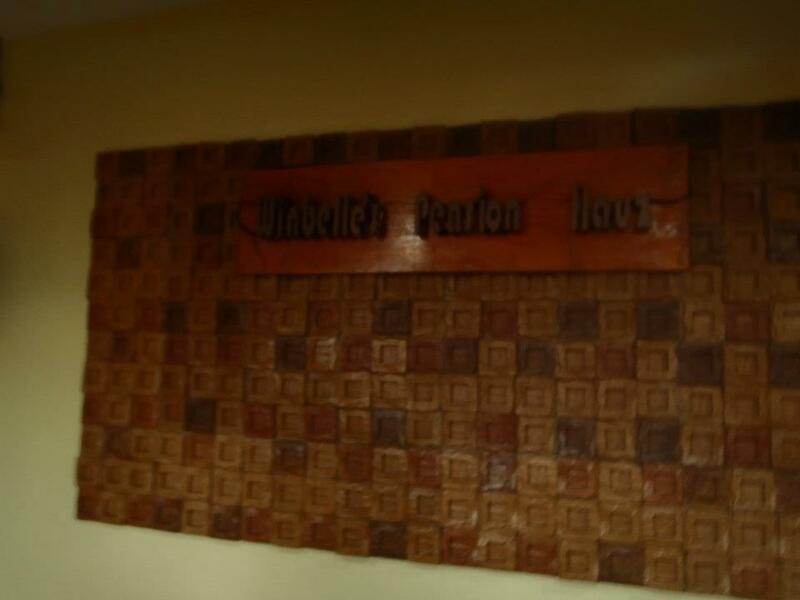 I paid only P30.00 for the tour and bought some tektite rocks and bid the owner my gratitude and farewell. The next stop was Balay Negrense but I was told that it opens around 10 am and so I decided first to roam the city. While walking I passed by, Iglesia San Diego and stopped by to pray. It is one good habit that I always practice. Visiting the church and praying for my safety and health while I'm on tour. 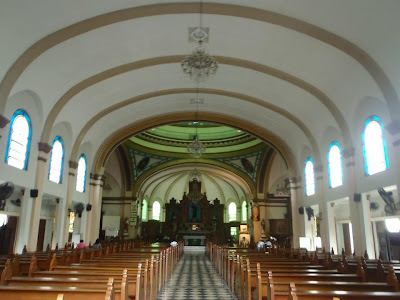 The interior of the church was just fascinating. It was already past nine am and I went back to my original destination. 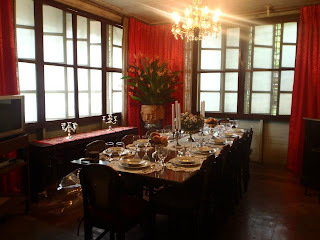 Balay Negrense or the Don Victor Gaston Ancestral House opens around 10 am. Admission fees for adult is P40.00 and for students and children P20.00. 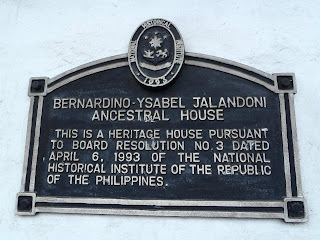 The Balay Negrense was originally the ancestral house of Victor F. Gaston. 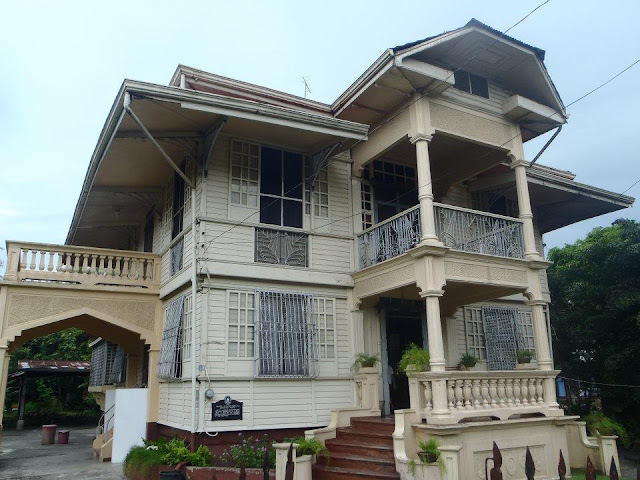 Built in 1897, the structure housed Victor Gaston and his twelve children from 1901 until his death in 1927. 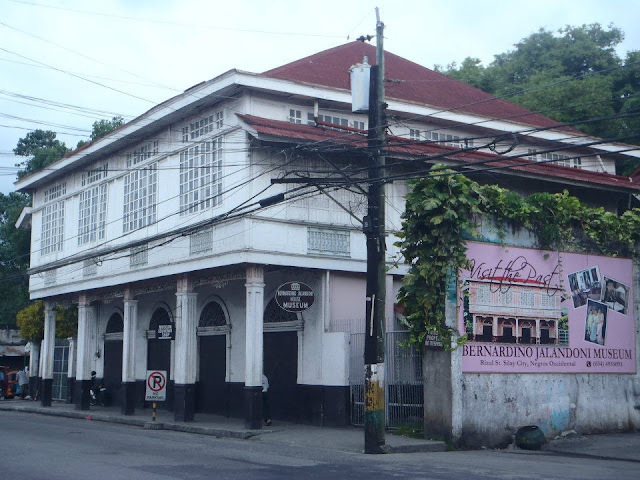 Left unused by the family, the structure was abandoned in the mid-1970s. The structure was repaired and furnished with period furniture and fixtures. 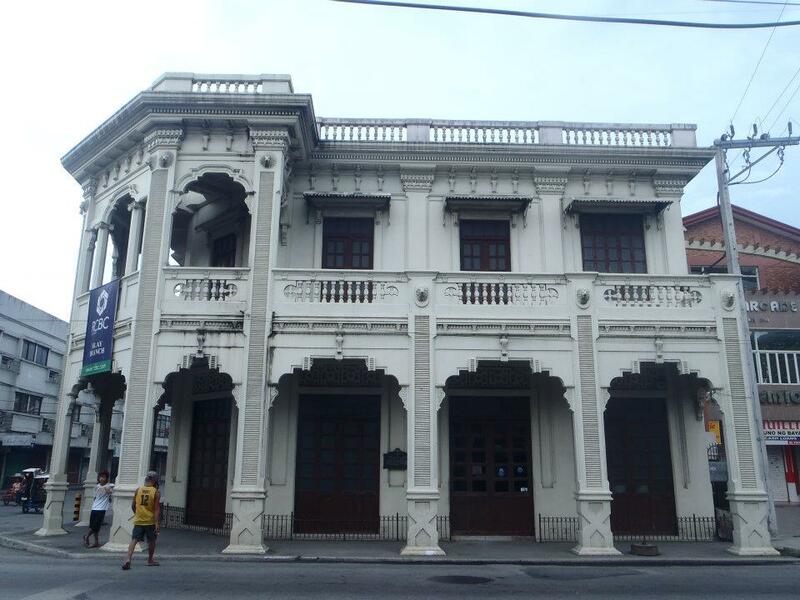 The museum was officially inaugurated on October 6, 1990. 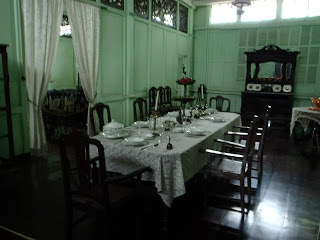 Balay Negrense Museum is open to the public everyday except Mondays and some holidays from 10:00 A.M. to 6:00 P.M.
After one hour of touring Balay Negrense, I went to the last heritage house scheduled for the day. 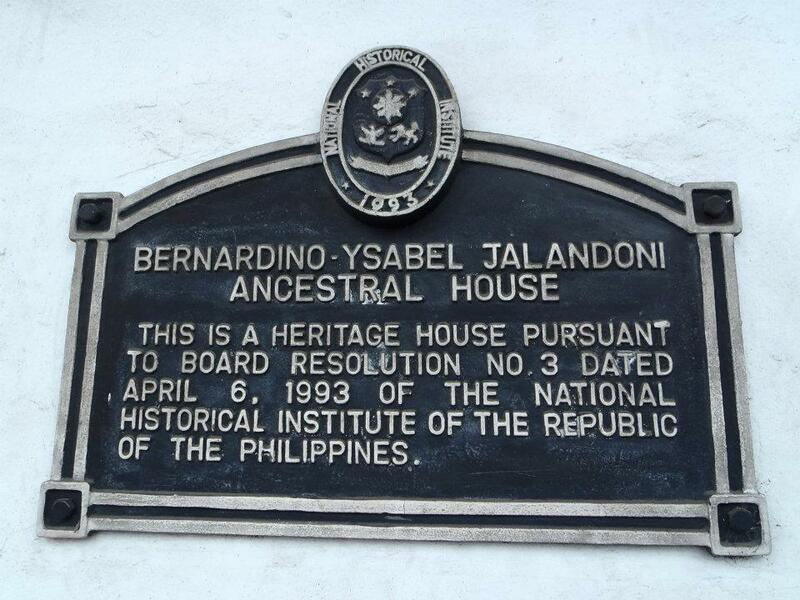 The House was first owned by Don Bernardino and Doña Ysabel Jalandoni. 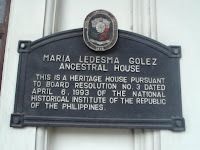 It was completed in the year 1908. Although grand in scale and strong in its construction, its design follows the typical Philippine nipa hut. 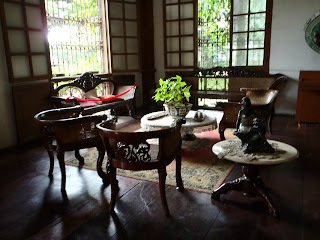 I have visited Vigan twice already. 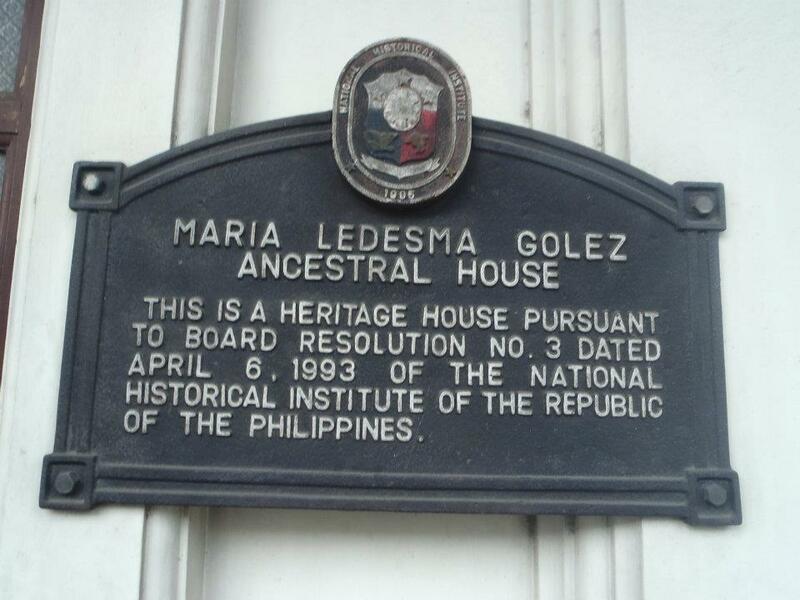 The question is which has the better ancestral houses? 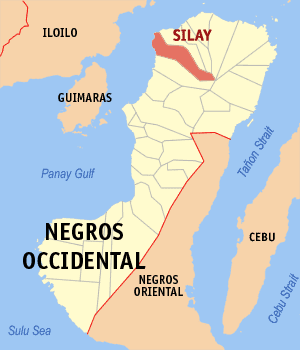 The answer is Silay City. It is well-preserved and there is a variety of houses to choose from and explore. Then you must decide what would compliment those primary colors.